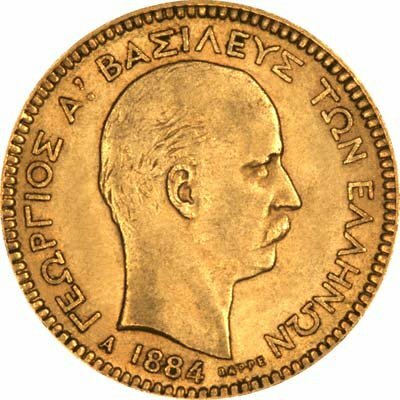 Greece is the earliest part of Europe to use coinage, having copied the idea off the kingdom of Lydia in what is now western Turkey in the 7th Century B.C. 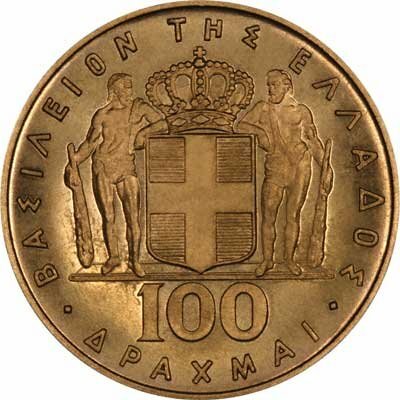 Almost all coins of ancient Greece are desirable and collectable, and gold coins quite rare. 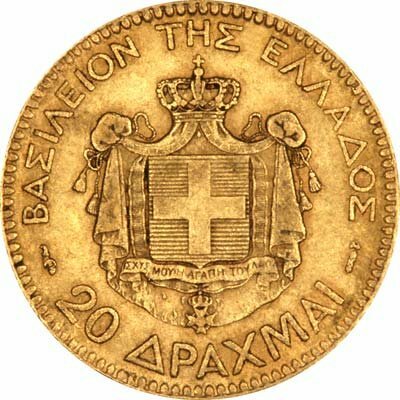 This page relates to gold coins of modern Greece, any from Ancient Greece would normally be featured on our original website www.24carat.co.uk. We are not sure whether the CIA don't know are don't care about Greek history before 1829. Perhaps to most American minds, this would be pre-history! 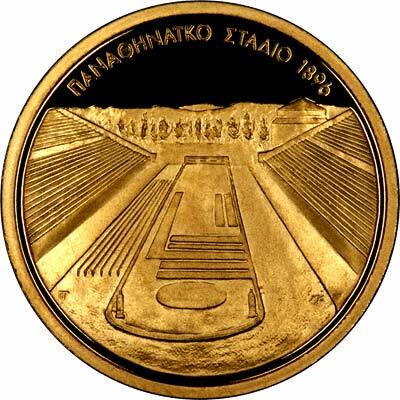 Technical specifications of the most frequently encountered Greek gold coins. 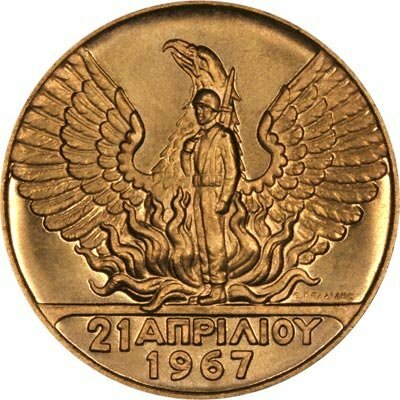 For silver and base metal coins of Greece, please look at our original Chard Coins website. 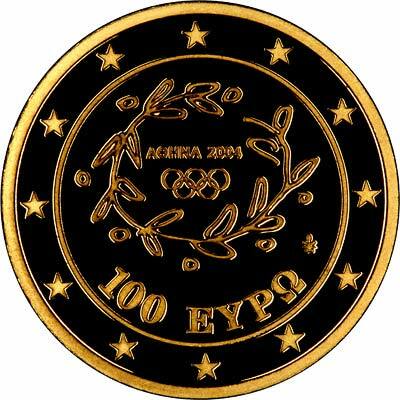 We make an active market in almost all world coins, gold or otherwise, including Greek gold coins. If you have any of these coins to sell, please contact us, or post them to us for appraisal and offer.